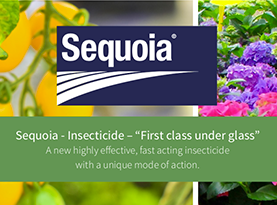 A highly effective broad-spectrum contact insecticide/acaricide to control whitefly, aphids and spider mites on protected crops of tomatoes, cucumbers and strawberries. 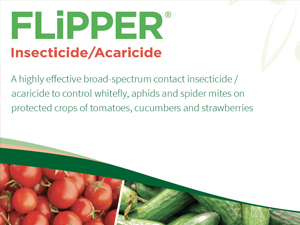 FLiPPER is an innovative bioinsecticide that successfully controls a broad spectrum of insect and mite pests – including whitefly, aphids, spider mites and thrips** on protected crops of cucumber, strawberry and tomato. Its unique leaf-washing action also minimises the extent of any damage caused by these pests, such as honeydew or sooty mould. It’s a quick and fast-acting spray treatment that can be easily integrated into your pest management programme. The active ingredient in FLiPPER is distilled off following the process used to make extra virgin olive oil, so it comes from a natural and sustainable source. It’s compatible with beneficial insects and pollinators, and is also an effective resistance management tool for growers looking to reduce their use of conventional pesticides. FLiPPER is a flexible bioinsecticide, as it can be used at any stage of the crop’s lifecycle. It leaves no chemical residues and there is no harvest interval. Tests involving FLiPPER have also found that it not only treats the cause of damage to crops by killing the pests, but that it can limit their impact by preventing honeydews and black sooty moulds spreading to the fruit. These foliar pests can cause significant crop damage. If left untreated, they can cause secondary damage through the excretion of honeydew. This can cause sooty mould to develop on the plant, which reduces photosynthesis. Many of these pests can also transmit other diseases, including viruses, while feeding on the plant, so pose a further danger to crops. FLiPPER is effective at all stages of an insect’s lifecycle. FLiPPER kills pests swiftly through its physical mode of action. Death is by suffocation and usually takes place over a period of 24 hours. Repeat applications will have no effect on MRLs as FLiPPER leaves no residue and has a zero harvest interval. For optimum control, apply FLiPPER at the very first signs of pests emerging to prevent the development of insect populations. What makes FLiPPER different from conventional insecticides is that it comes from a natural and sustainable source: extra-virgin olive oil. The active ingredient at the heart of this bioinsecticide is extracted during the olive oil production process. It then undergoes a series of distillations to isolate mainly unsaturated carboxylic acids (C14-C20). These have been optimised to create a product that gives effective control of foliar pests. The natural provenance of FLiPPER’s ingredients leaves no chemical residue and as a result has zero harvest interval. The raw material used to make FLiPPER has been evaluated by the EU regulatory authorities as being a ‘Food Grade’ standard. FLiPPER targets leaf-sucking pests, but tests have found that it can also help to control powdery mildew when applied in accordance with the label. FLiPPER is a contact-acting insecticide, apply in a volume of water that delivers good coverage to ensure pests are targeted effectively. This is normally 400–1,000 litres per hectare for smaller plants (such as strawberries) and 1,000–1,600 litres per hectare for larger plants with dense foliage (such as tomatoes). FLiPPER is compatible with beneficial insects and pollinators, and can be incorporated into an IPM programme that uses biological controls or which includes beehives to maximise yields. Below are the results of a study that assessed FLiPPER’s impact on a range of natural predators and parasites*. FLiPPER can be applied through boom or power sprayers, as well as handheld equipment, like knapsack sprayers. Thoroughly wash and clean the spray tank before adding FLiPPER. If foaming occurs when mixing the product, an anti-foam agent can be added. The maximum individual dose is16 litres of product per hectare, with a maximum concentrate of 1.6 litres per 100 litres of water. Recommended application rate 1 - 1.6 litres per 100 litres of water. Ensure full crop coverage for best results. Do not store diluted product,apply prepared spray immediately. Consider using the maximum concentration rate (1.6l per 100l water) for improved control of spider mites on smaller crops, like strawberries. Best results using FLiPPER are achieved during warm, fast drying conditions. An ideal time for spraying crops is early in the morning to allow the plants to dry as temperatures rise. Avoid spraying during high temperature, to reduce the risk of crops scorch. FLiPPER is less eff ective ifused at low temperatures(below 10ºC). 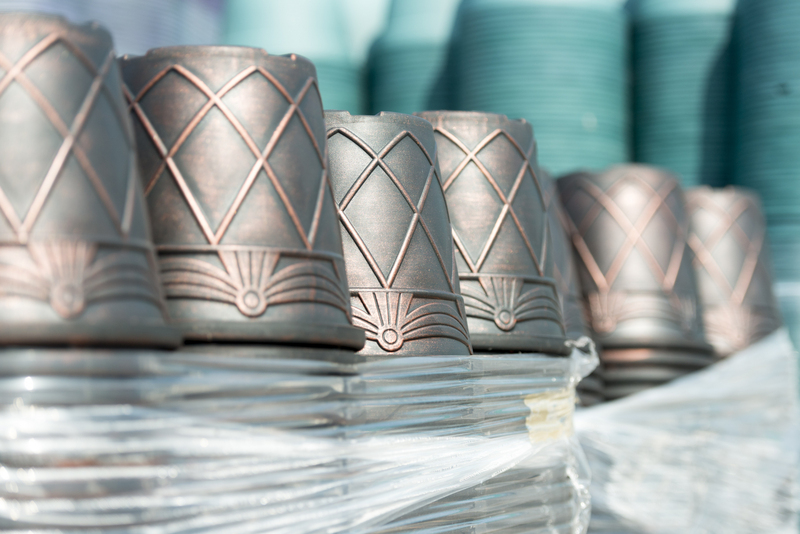 Ideally mix FLiPPER with soft water or collected rainwater.If you have hard water, see the technical notes for advice on preparing the product to achieve the best results. FLiPPER is physically compatible with a wide range of formulated products, so you can tank mix it with other pesticides (see the technical notes for more guidance). Store FLiPPER in its original container at an ambient temperature in a dry place. If it’s stored below 10ºC, crystallisation may occur. But this doesn’t damage FLiPPER and the crystallisation will disappear when the product is warmed up. Use prepared sprays straightaway and don’t store diluted product. FLiPPER has a shelf life of over two years. of 1.6l per 100l water. USE PLANT PROTECTION PRODUCTS SAFELY. ALWAYS READ THE LABEL AND THE PRODUCT INFORMATION BEFORE USE. FURTHER INFORMATION INCLUDING WARNING PHRASES AND SYMBOLS IS INCLUDED IN THE MAIN PRODUCT MANUAL. THIS BOOKLET IS NOT A MANUAL AND THE INFORMATION PRESENTED HERE SHOULD NOT BE USED TO GUIDE THE USAGE OF THIS PRODUCT. PLEASE REFER TO THE PRODUCT LABEL AND TECHNICAL NOTES AVAILABLE FROM FARGRO FOR UP-TO-DATE RECOMMENDATIONS.